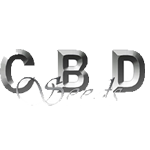 CBD Seeds is a crew of experienced people in this sector. This seed bank was created to offer classic varieties of cannabis seeds and create a classical genetic line - they get to work with first gene pool, which were legendary already. The next step after classic line was analyzing situation in Europe and they found out lack of autoflowering seeds what made them to create all of their seeds in automatic versions. Return to the origins and opportunity to enjoy the pure and ancient with original taste, smell and mythical effect as a additional to those you already have ( Widow, Lavender, Yumbolt, Critical and first Northern Auto : Auto White ), is what the CBD is providing to their costumers. High CBD level makes their seeds perfect choice for a medical use.